So, here’s the deal. I rarely come here on MirrorCracked these days. I had forgotten my password – I got in on the 4th attempt. I don’t know what’s happening on the scene anymore. Are you guys all still here and blogging? I don’t know how many will even read this – I’m sure a lot of people would have given this blog up as dead. I hope not. Check out Chai Around The World. Let me know what you think of it. I plan to return here soon enough. I’m mustering up the courage to revisit the old haunts, read up on all your blogs and update my abandoned blogroll very soon. Within this week, I promise. Just because I don’t blog here often doesn’t mean I don’t love you all. Go. Read my other blog. Tell me your thoughts. Wow, I needed that break. I feel refreshed and I have that urge to impart my nonsensical wisdom again. I think bloggers need a break from time to time to gather their thoughts and make a comeback, when things seem to go downhill as far as the quality of the posts are concerned. Of course, few bloggers take a break because they embark on a journey from which there is no turning back – they get married. There’s a lot of love happening in the blogosphere nowadays and I choked on my cheeseballs (Er, no puns, they were cheeseballs – the edible kind) when I heard that Vimal is no longer single. For ditching Club Singles, I am tempted to scream at him, but I’ll swallow my pride and wish him all the best. Speaking about comebacks and marriages, Scorpria made a comeback yesterday, after a hiatus of 5 weeks. I won’t mince words – she got married. On behalf of everyone in the blogosphere, please accept my sincere condolences. 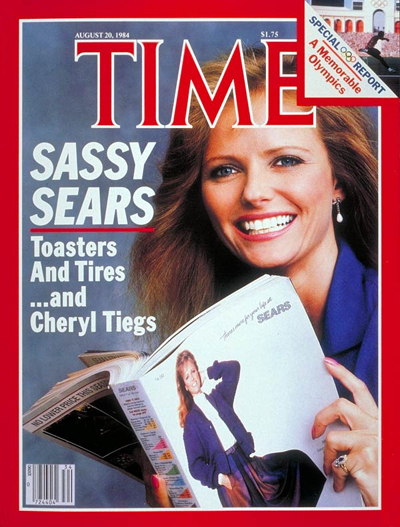 But, I did like her comeback, though. I declare her the The Comeback Queen, and as a wedding present, I give her this very nice plaque (Er, I mean it in strictly non-dental terms). The Butterfly Award, for the coolest blog. The Proximity Blog Award, for investing and believing in proximity – nearness in space, time and relationships. Gee, I’m honored, and I don’t know if I really deserve these accolades. A lot of people would agree with me and call me a cranky old hag. Valerine, who’s learning the ropes, and prefers to call me the Blog Guru, instead of the Love Guru. Alice, who wasn’t whom I thought she was. Shoe Girl, who owes me an email. I am also supposed to do a couple of tags. I’m back to my one-post-a-day routine, now that I’m completely broke after my shopping escapades. Had a couple of yo-yo moments, obviously, which I’ll share soon. This is the 100th post on MirrorCracked! It’s my duty to pass these awards on to a few deserving bloggers, and I think this time, I shall be very selective in whom I award this to. Now, let’s play a game, shall we? I was planning something interesting for the 100th post, and last night, I came up with an idea which involves everyone. I am going to spoof the Snow White fairy tale, and you’re going to help me do it. I will begin the tale and everyone who reads this, has to contribute in completing the story. nce upon a time, there lived a queen who wanted a daughter with skin as white as snow, lips as red as blood and hair as black as ebony. She prayed day and night for such a daughter and one fine day, nine months after a particularly raunchy night with the gardener, she gave birth to a beautiful daughter. She had blood-red lips but the other two attributes were interchanged. Her skin was as black as ebony and her hair was as white as snow. The King and the Queen had decided to name her Snow White, but now,the name seemed ridiculous. So, they decided to call her Greyhound. 7. 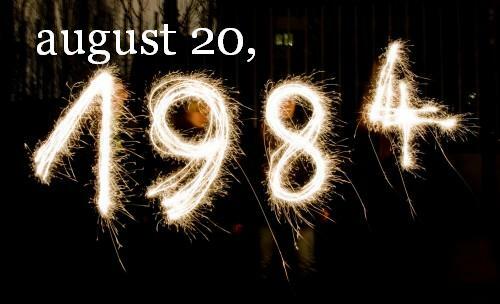 On the 20th of August 1984, I was born. I guess that covers most of the things that I wanted to say about this very special day, and to acknowledge an award that I don’t think I deserve.